Introducing the first game to use the Wii Vitality Sensor: Luigi's Mansion 2 (Working Title). The Wii Vitality Sensor measures your heatbeat and determines how nervous Luigi is in the game. Become very excited to scare intimidating ghosts or relax your body to sneak around. 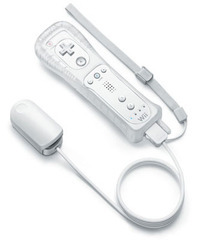 The Wii Remote vibration feature allows you to feel your heart beat in real time as your play the game. Professor E. Gadd is missing and it's up to Luigi to find him! Your favorite character Luigi reluctantly sets out on a new quest armed with his Poltergust 3000. Explore new frighting rooms as you discover hidden secrets, coins and powerups. Beware, the Boos are back and are as scary as ever. Use the Wii Remote's precision aiming to shine your flashlight at darting ghosts and light your way through the dark rooms. As you progress through the game, upgrade Luigi's equipment to do battle with humongous bosses and apparitions. Don't go on your adventure alone! Mario teams up with Luigi in an all new special online mode. Through the Nintendo Wi-Fi Connection, earn points for defeating enemies and finding treasure. Score the most points to show your friend who is the top Mario Brother. 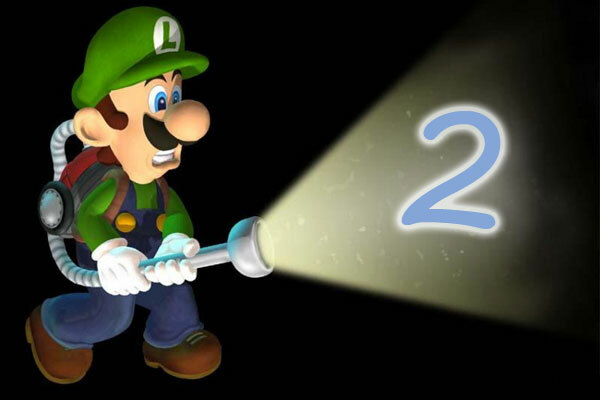 Luigi's Mansion 2 is slated for Spring 2011. UPDATE June 8th 2011: Nintendo has official announced the sequel to Luigi's Mansion for 3DS during the 2011 E3 press conference. We will upload some hands-on gameplay footage we recorded from the 3DS area of E3 shortly. * Luigi's Mansion 2 Hands-On at E3 2011.
i think this game is lame and alec is about to die because he wants it. he is like ohhh if i don't get it i will die! so please release soon or else he will die!!!!!!! This is the best thing Nintendo is coming up with since Twilight Princess came out! This is super amazing I will buy this came right away.